After completing undergraduate studies in biochemistry at SUNY College at Geneseo, Dr. Lou received his M.D. and Ph.D. degrees (Microbiology and Immunology) from SUNY Upstate Medical University in 2004. 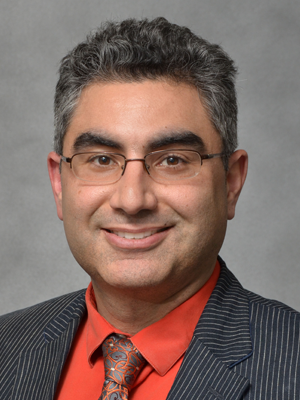 He performed his residency training in Internal Medicine at Duke University Medical Center and then subsequently completed his Medical Oncology and Hematology fellowship at the Memorial Sloan-Kettering Cancer Center in 2010. He also completed an additional fellowship in Neuro-Oncology at the Preston Robert Tisch Brain Tumor Center at Duke. Dr. Lou, a diplomate of the American Board of Internal Medicine, is board certified in Medical Oncology and Internal Medicine. In addition he is also board certified in Neuro-Oncology through the United Council for Neurologic Subspecialties. He joined the faculty in the Division of Hematology, Oncology and Transplantation in 2011 and is a member of the Masonic Cancer Center, University of Minnesota. If you are scheduled or interested in scheduling a clinic consultation with Dr. Lou, click here for more information and a welcome from Dr. Lou. B Li*, E Lou*, M Hsu, H Yu, J Naidoo, MG Zauderer, C Sima, ML Johnson, M Daras, LM DeAngelis, M Fleisher, MG Kris, CG Azzoli. Serum biomarkers associated with clinical outcomes fail to predict brain metastases in patients with stage IV non-small cell lung cancers. PLoS One, published online January 5, 2016. *Co-first authors. Y Ji, RI Vogel, E Lou. Temozolomide Treatment of Pituitary Carcinomas and Aggressive Adenomas: Systematic Review of Case Reports. Neuro-Oncology Practice, advance access online November 12, 2015. S Gholami, A Marano, NG Chen, RJ Aguilar, A Frentzen, C-H Chen, E Lou, S Fujisawa, C Eveno, L Belin, P Zanzonico, A Szalay, Y Fong. A Novel Vaccinia Virus with Dual Oncolytic and Anti-angiogenic Therapeutic Effects against Triple-Negative Breast Cancer. Breast Cancer Research and Treatment. Nov 13 2014 (Epub ahead of print). J Ady, S Desir, V Thayanithy, RI Vogel, AL Moreira, RJ Downey, Y Fong, K Manova-Todorova, MAS Moore, E Lou. Intercellular communication in malignant pleural mesothelioma: Properties of Tunneling Nanotubes. Frontiers in Physiology, published online September 26, 2014. V Thayanithy, V Babatunde, E Dickson, P Wong, S Oh, X Ke, A Barlas, S Fujisawa, Y Romin, A Moreira, R Downey, C Steer, S Subramanian, K Manova-Todorova, M Moore, E Lou. Tumor exosomes induce tunneling nanotubes in lipid raft-enriched regions of human mesothelioma cells. Experimental Cell Research, 323(1):178-88. April 15 2014 (Epub 2014 Jan 24). doi: 10.1016/j.yexcr.2014.01.014. E Lou, M Johnson, C Sima, R Gonzalez-Espinoza, M Fleisher, MG Kris, CG Azzoli. Serum biomarkers for assessing histology and outcomes in patients with metastatic lung cancer. Cancer Biomarkers, 14(4):207-14. January 2014. doi: 10.3233/CBM-140399. N Aburjania, AM Truskinovsky, MJ Overman, E Lou. Ampulla of Vater Adenocarcinoma in a BRCA2 Germline Mutation Carrier. Journal of Gastrointestinal Cancer, published online February 17, 2013. 45(1): pp 87-90, March 2014. E Lou, S Subramanian, CJ Steer. Pancreatic Cancer: Modulation of KRAS, MicroRNAs and Intercellular Communication in the Setting of Tumor Heterogeneity. Pancreas 42(8), 1218-26, November 2013. S Gholami, C-H Chen, E Lou, LJ Belin, S Fujisawa, VA Longo, NG Chen, M Gönen. PB Zanzonico, AA Szalay, Y Fong. Vaccinia Virus GLV-1h153 in combination with 131-I-iodine shows increased efficiency in treating Triple-Negative Breast Cancer. FASEB Journal, November 1 2013 (Epub ahead of print).